Maya was not an ice skating star to be honest, but she looked so cute when she fell and did that thing with her nose. "You&apos;re doing fine, you&apos;re doing fine, keep going keep going" She was coming towards me. She reached me and hugged me because she couldn&apos;t stop. "Good one!" I laughed and hugged her back. "I know you&apos;re not" I told her and smirked playfully. Maya and Lucas looked so cute. "Riley! Riley!" 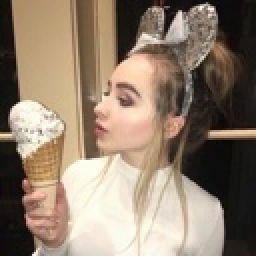 I heard Farkle yell, why was he so overexcited? what could possibly go wrong? OUCH. Yes, I hit a pole. "Are you okay? Does somebody know this girl? she just hit that pole!" A little boy with brown hair yelled "Riley!" "Hey man, do you know this girl?" I asked the boy. "She is my best friend, what happened to her?" The blonde got in my way. "She didn&apos;t..." I started saying. "Not you dude, Farkle, what happened?" she was so mean. The tall boy answered me. "I know her, she&apos;s Riley, excuse Maya, she is her best friend..."
"Is she your girl?" I asked the boy. "I can help Riley, my parents are doctors, they taught me how to manage this" I said. I got closer to Riley and checked her head and pulse, she was okay, she would wake up in no time. Or that I hoped because I wasn&apos;t really keen on medicine. "Guys? What happened?" She asked, she had a bruise on her forehead. "You hit the pole" Maya, the blonde, replied. "Oh, I&apos;m so dumb, and who are you?" she said talking to me. "I&apos;m Drew, I just moved here from Tampa" I said, the girl was pretty. "I&apos;m starting 9th grade in this school that is two blocks away tomorrow"
"Oh, that&apos;s our school, fresh meet!" The blonde said, she seemed.. I dont know... rude? "No problem, bye" she was so cute. So, drew looks like brooklyn beckham in my mind. 1: Do you like Drew for riley? 2: Should i make a chapter developing Drew&apos;s character a little more? 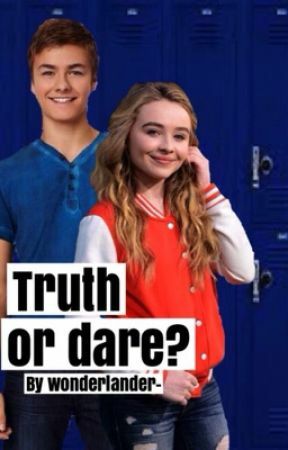 3: Should Maya and Lucas finally kiss in next chapter? 4: What do you think of the story so far? honest opinions and constructive criticism!